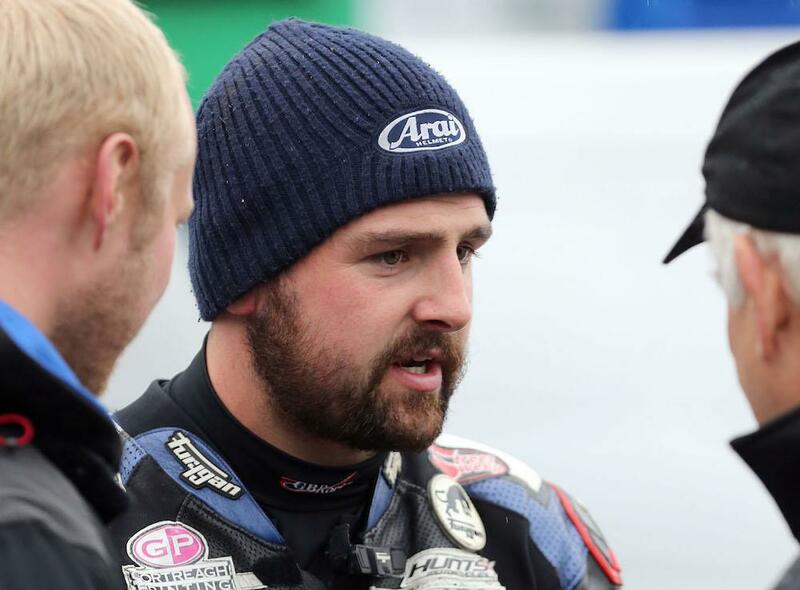 Michael Dunlop will start on pole position for Saturday’s Superstock race at the Ulster Grand Prix after topping the final wet practice session this morning. Setting a fastest lap of 121.625mph, Dunlop outpaced Burrows Suzuki’s Derek Sheils to take the top spot aboard his MD Racing BMW. Steve Mercer, deputising for the injured Ivan Lintin on the Devitt RC Express Racing Kawasaki, will start third, with team-mate Jamie Coward alongside him on the grid. Padgetts Racing duo Conor Cummins and Bruce Anstey will line-up sixth and seventh respectively, ahead of the Kawasaki-mounted Peter Hickman and Dean Harrison. 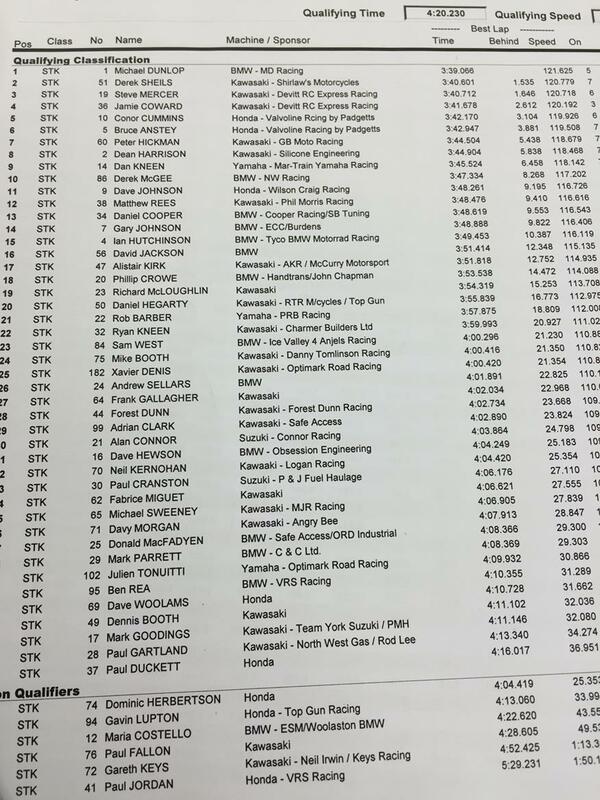 Dan Kneen and Derek McGee rounds out the top ten. The session was ended with a red flag following an incident at Quarterland's corner in the closing moments. The rider involved has been taken to hospital.